As much as I hate doing this... I will part with one of my last pelts. 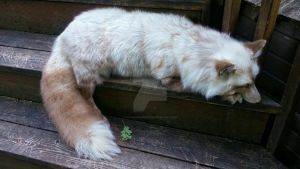 It is a beautiful 77cm long polecat pelt. Got it three years ago and kept it since. But I need to take action and rehome most of my hairy collection. Not much is left and this one needs a new collection too. I ask 45€ for it. I might also be interested. (I'm in the UK). Is it a new tan? 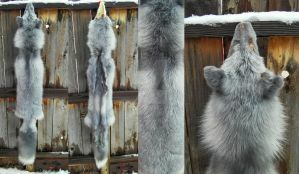 It is lovely <3 Is it taxidermy ready, or just a complete pelt? Just a complete pelt unfortunately. The only taxidermy prepped pelt I have is a pine marten.